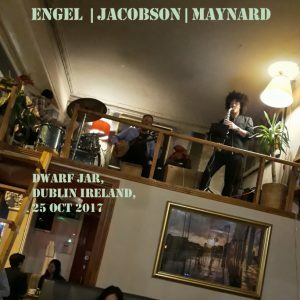 this was up on dime a few days after the show at the dwarf jar cafe, down on the quays here in dublin. it’s a pretty good recording (despite everything mentioned), which probably says more about the band than anything. it’s a crazy venue, the way they’ve taken advantage of the high ceiling. i’ve been trying to see if any of these lads are playing around town… and haven’t been able to make it to the dwarf jar for ages (mondays not being great for me lately). * seemed more like a long medley to me, so i couldn’t figure out where to cut. ** yes, i left this in at just 28 seconds.